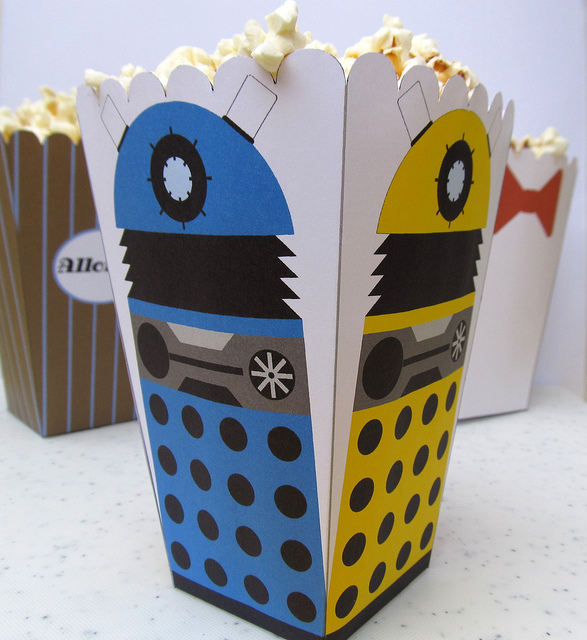 Doctor Who, Dalek and Cyberman Popcorn Holder - Create Your Own! Fans of Doctor Who in Britain and America are getting (perhaps) ridiculously overexcited about the new season of Doctor Who, the premier of which air tomorrow evening. 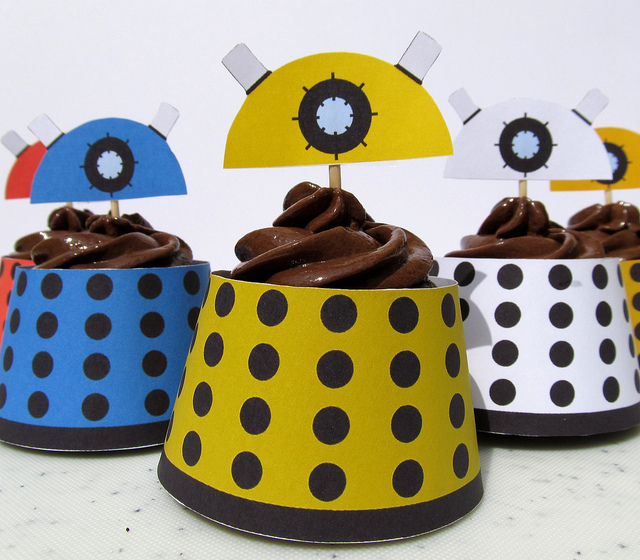 We have already featured the wonderful dalek cupcakes created by seelenstrum. Now she has outdone herself with these Doctor Who related popcorn holders. The new season of the award winning BBC TV series Doctor Who is almost upon us. Once again the Doctor will face his oldest and deadliest foes in Asylum of the Daleks. If you have been scratching your head about what treats to stock up on for the season premier, then look no further! Dalek cupcakes are the perfect accompaniment to this long anticipated episode. The long awaited British comedy horror Cockneys Vs Zombies is set for release in a few days and as a taster we thought we would share with you the title sequence directed by Gianluca Fallone. It's an animated roller coaster of an sequence and it is very, very cool. It also has Monster by The Automatic as its song. You know the one - what's that coming over the hill? Is it a monster? Is it a monster? The movie itself features a gang of East End types battling hordes of zombies (well, you may have guessed that from the title of the movie!). 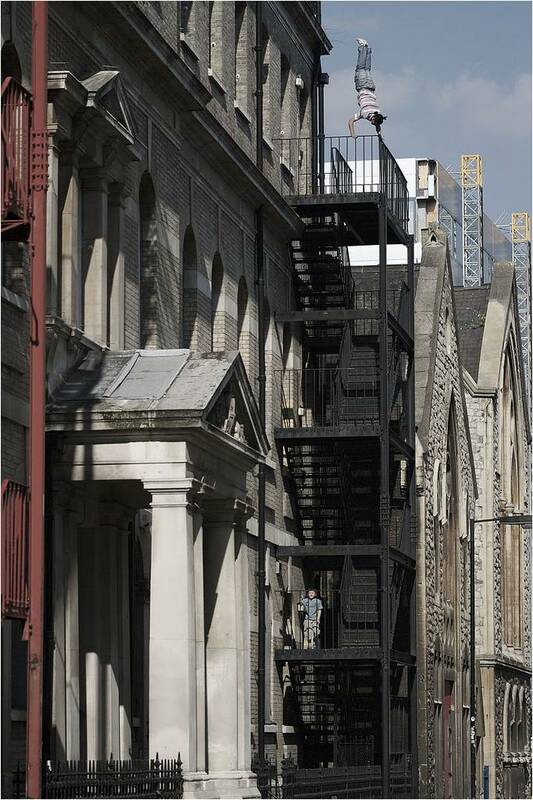 They have decided to rob a bank in order to save a local old people's home but as they emerge from the scene of the crime they realize that the East End of London has been taken over by zombies. The movie also features their older relatives, the denizens of the old people’s home fighting off the zombies with octogenarian relish. 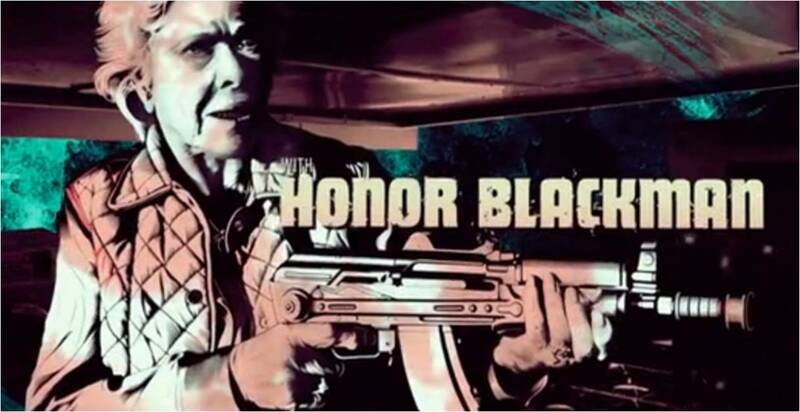 For fans of James Bond and The Avengers the movie features Honor Blackman as one of the pensioners who fights off the hordes of the undead with her usual panache! The movie also stars former Eastenders, Bionic Woman and Doctor Who star Michelle Ryan as one of the young trio whose bank job goes zombarifically wrong. With a host of other British character actors, including Richard Briers, Dudley Sutton and Tony Gardner Cockneys Vs Zombies promises to be fun - albeit of an extremely blood spattered nature. Jut in case you haven't seen it, here's the trailer. 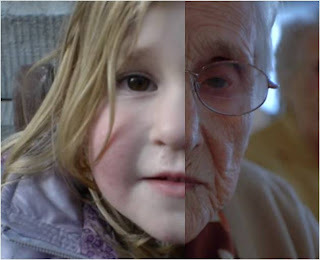 If you add up the ages of all the people in this short film then you will get the grand total of 5050 years. That’s quite something and it must have taken some tenacity and patience to create this on the part of filmmaker Jeroen Wolf. To begin with there are the issues around shooting the very young and the very old, the first group because of modern taboos the second because of their frailty (not to mention their scarcity). The project involved asking members of the public to simply state their age to the camera. It is fascinating to watch the years roll by so quickly – this really is the journey of a lifetime – or one hundred of them perhaps. I can only imagine how frustrating it might have been at times. How old are you? Forty seven? Ah, I have that already – thanks anyway! All told it took Jeroen four months to get all the ages together in one film. It’s interesting to hear the numbers from one to a hundred in Dutch too – the similarities between that and English can be noted very easily at times. What do you do if you want to say a great big thank you to Bill Murray for all his wonderful performances over the years but you don’t feel that you have the words? You could always do what Niege Borges has done here and feed your gratitude in to creativity (something of which no doubt Mr Murray would approve). 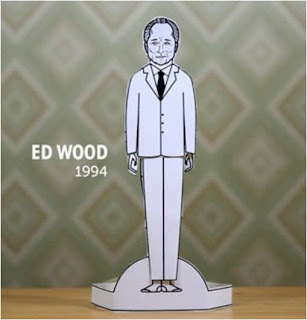 Niege has taken a simple idea – a cut out paper doll of the famous Hollywood actor – and dressed him in the clothes which match his performances over the years. I have to admit there were a few movies here which I had forgotten about (for better or worse!) but this certainly beats a rather the more prosaic and static filmographies we are used to. Great work, Niege – with crisp editing by Vinícius Perez who was in charge of editing this animated short. If you are impressed and also a huge Bill Murray fan then you may want to take a look at the short’s limited edition poster. It sounds like a title of a old episode of Star Trek, but the town of Kassel in Germany has been invaded by a group of figures known as the Guardians of Time. Kassel holds an art exhibition every five years but despite an offer from the artist the Guardians of Time were not invited. Yet, these mysterious beings do not, it seems, need a summons from mortals. They chose to walk where they wish. We have featured work by Thomas Beg on Kuriositas before so it’s only right that we show you his latest projection mapping project produced as the final piece for his MA degree at UCA Rochester. 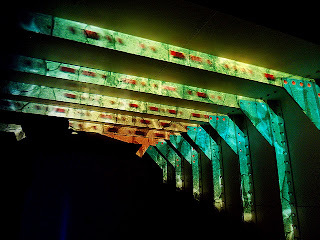 It was inspired by James Turrell, Dan Flavin, Keith Sonnier, Olafur Eliasson and a number of other artists and practitioners. Tom set about creating a projection installation aboard LV21 - a decommissioned lightship currently moored at Gillingham Pier in the county of Kent in the United Kingdom. In order to develop effective content, he worked in conjunction with an event called International Lighthouse and Lightship Weekend - a worldwide amateur radio festival dedicated to the education and continued practice of radio and Morse code communication. The animations feature messages written in Morse code as visualised by dots and dashes. You can find out more about this and Tom's other work over at his blog. You may have already guessed how this owl gets its name but that isn’t the only remarkable thing about it. 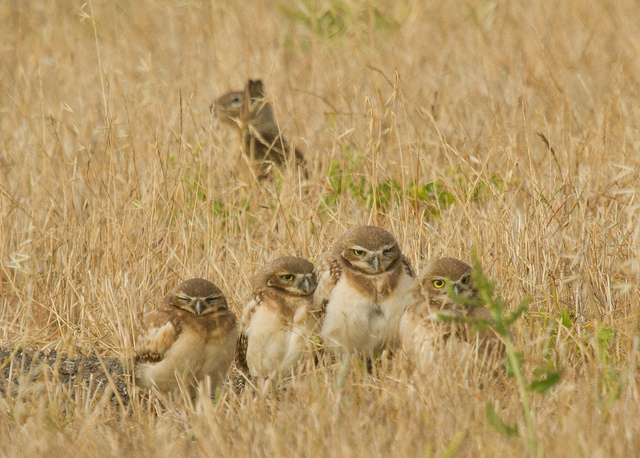 The burrowing owl is the smallest of the owl species and as you can see from the photograph above even ground squirrels look large beside it, even though it is behind the birds. The Ark in Space has a feature on this enchanting and unusual raptor. 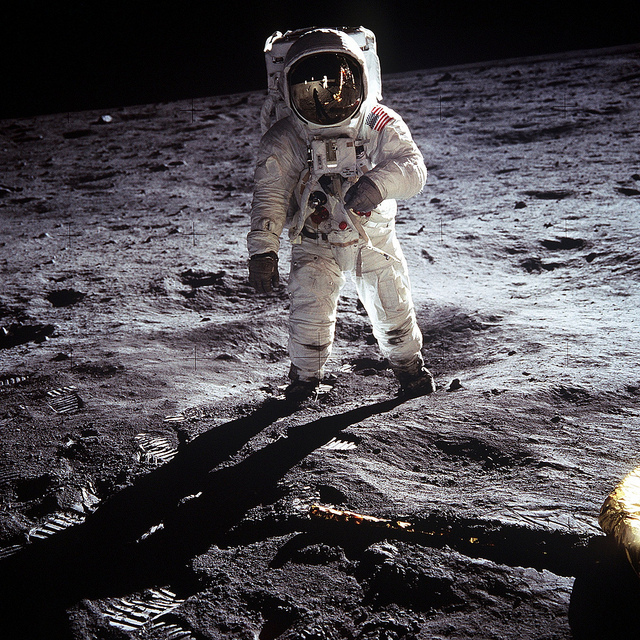 Neil Armstrong, the first man to walk on the moon, has died from complications due to heart surgery he underwent recently. The great, the good and virtually everyone else have been paying tribute to the man who uttered the famous phrase one small step for man, one giant leap for mankind as he became the first to step on to the surface of the moon. 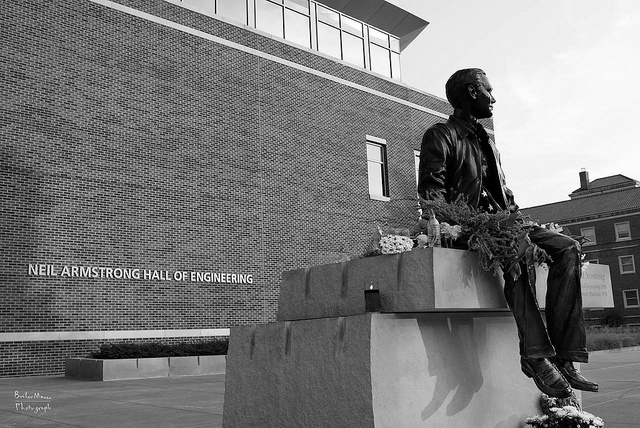 Our own small tribute comes in the shape of these photographs, taken at Armstrong’s much loved alma mater, Purdue University in Indiana where his journey to the moon truly started. 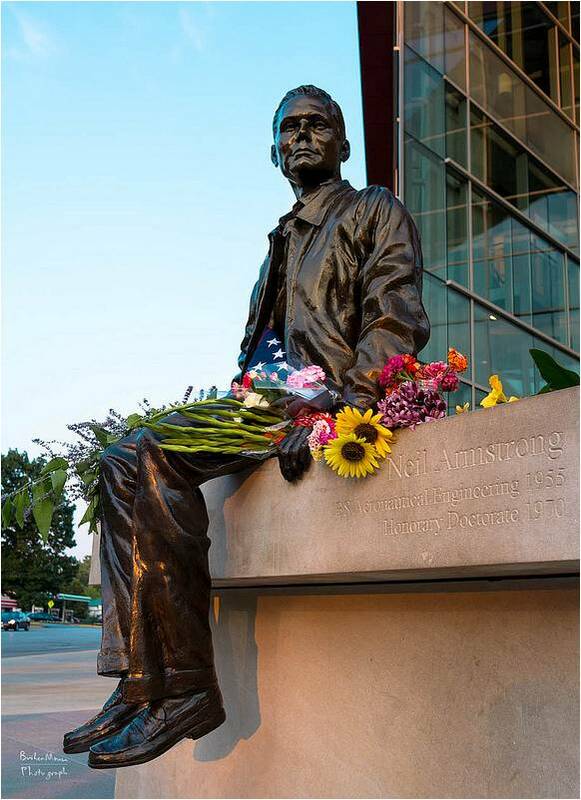 There, flowers have been left around the sculpture which sits outside the Neil Armstrong Hall of Engineering. 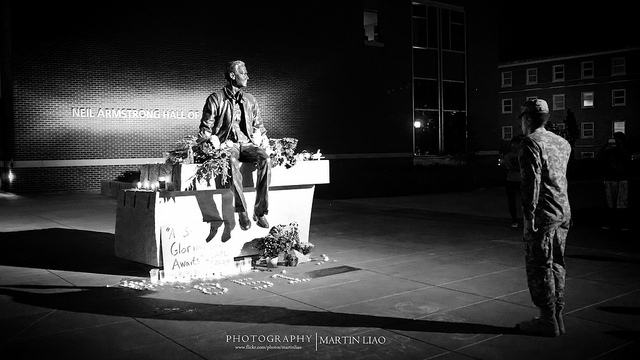 There has been a bronze statue of Neil Armstrong there for a number of years and one which reflected the unassuming nature of the man. Armstrong was only the second in his family to go to college and as such was an example to young people that they can achieve their goals whatever their background. Certainly, the young man pictured below, perhaps at the start of his own incredible journey, who stood silently in front of the sculpture for twenty minutes, would agree that he was a man whose life and achievements will not be forgotten. Part of the statement released from Armstrong's family reads: [he was a] reluctant American hero [and had] served his nation proudly, as a navy fighter pilot, test pilot, and astronaut. While we mourn the loss of a very good man, we also celebrate his remarkable life and hope that it serves as an example to young people around the world to work hard to make their dreams come true, to be willing to explore and push the limits, and to selflessly serve a cause greater than themselves. 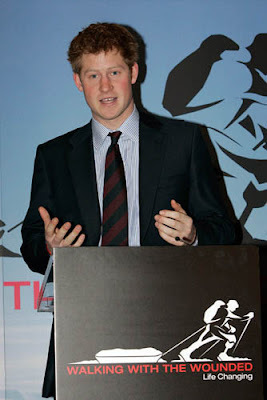 I must say I have always been rather fond of Prince Harry, despite my natural aversion to monarchy, constitutional or absolute. I think the decision by TMZ to publish pictures of the young prince when he was obviously off duty was morally reprehensible. Still it only went to confirm what we all knew already – that he is pretty much a party animal with something of a penchant for exhibitionism (who does have his earnest moments it must be said). So far so harmless: his antics might be a little vulgar but they are only what a million other young British men do each year in various holiday locations around the world (hardly an excuse or indeed likely to curry the British any favour with their hosts but that’s another story). Yet it made me think. What do the rest of the world think of the British monarchy – and do they assume that the Brits are all flag waving royalists? We were pretty much the first country in Europe to chop off the head of a reigning monarch but we got the rather miserable Interregnum period and had to put up with Oliver Cromwell telling us not to celebrate Christmas and the like. So they were invited back (that’s a potted history to say the least) and we have had them ever since. Some have been mad, some bad and others just plain miserable (Victoria didn’t just have an annus miserabilis - she had decades of them). Yet we stuck with them, somehow. That doesn’t mean to say, however, that there isn’t a big streak or republicanism in the UK – just that for the greater part it gets tucked away out of sight and the knee jerk reaction to any question of us becoming citizens rather than subjects is often extreme. I have seen people pose the idea in public (OK, public houses) and be threatened for their throneless philosophies. 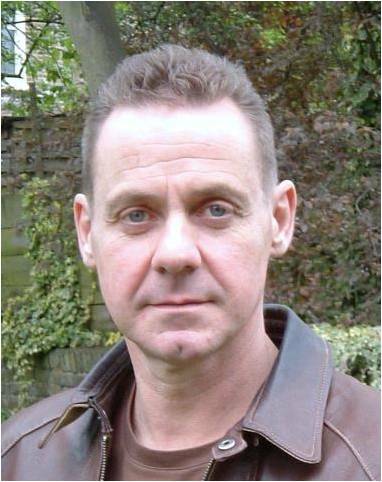 So, if you are wondering just why the British put up with an unelected head of state you might want to watch the video by Gary Dunbill above. In fact, it doesn’t really answer the question but it does give some facts and figures that monarchists would rather keep hidden from the rest of us... it will make you wonder, if anything, even more, why we put up with them! This may more than resonate if you have had the misfortune of raising a video game addict. Here a young mother tries to lure her son away from his games consoles until finally resorting to desperate measures. Yet, is it too late? This is a student film made as part of the third year of animation studies at the Bezalel Academy of the Arts. It took us 10 months to create from concept to final render. As ever with Bezalel it is wonderfully made - and promises great things for the future of the tyro-animators. And who are they? 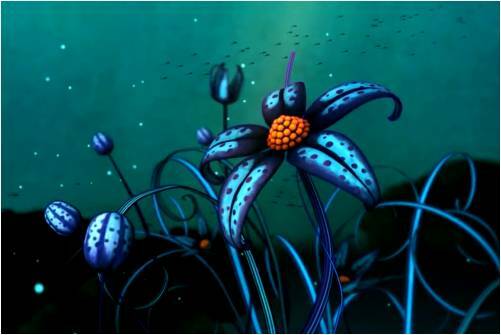 It represents the first CG film by Alon Tako, Guy Elnathan, Daniel Lichter and Sivan Kotek. The soundtrack is provided by Assaf Shlomi. 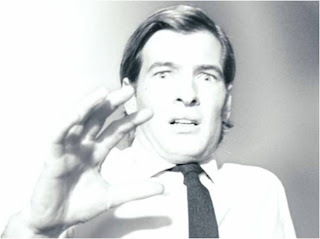 Take a visit to their website, which tracks the creation of Glued. 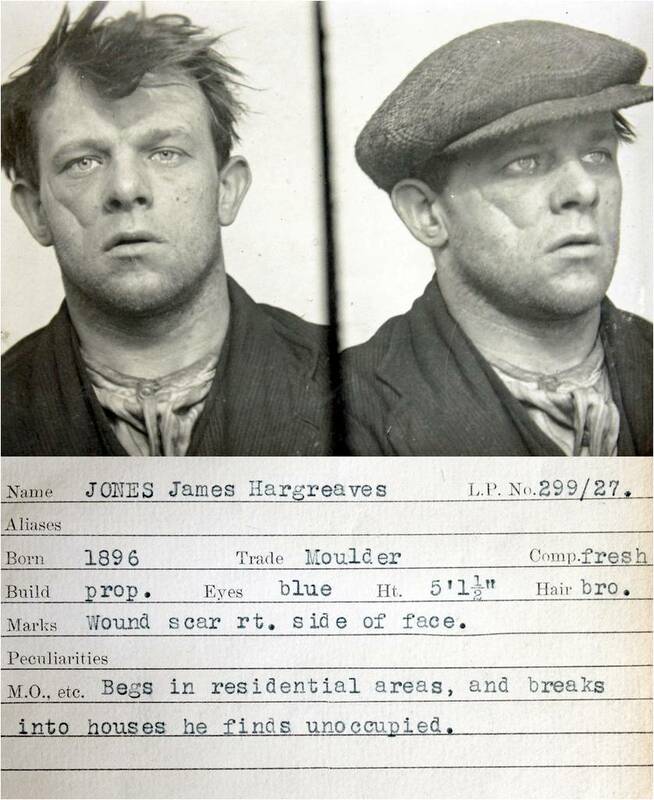 All of these men were caught by the long arm of the British law by police in the 1930s. Amazingly, this collection was recently discovered in a junk shop in the northeast of England. Later they were donated to the Tyne & Wear Archives and Museums and have been recently released on its Flickr Photostream. The clarity of many of them is, to not put too fine a point on it, arresting. 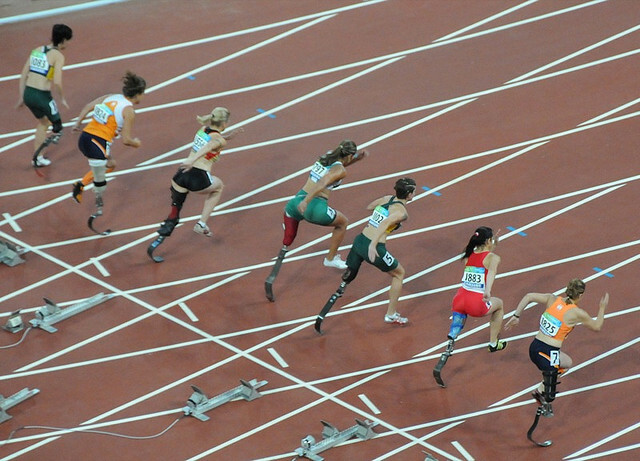 Wednesday, 29 August 2012 sees the start of the Paralympic Games. Guest writer Danny West (left), trainer, coach, mentor and leadership consultant shares his thoughts and hopes for the games – and what their legacy might be for everybody. In contemporary society and in the context of the law disability encompasses all disabilities and health conditions. . I am living with HIV which remains a highly stigmatized health condition. HIV raises all the taboos in society which creates discomfort and fear. Society on the whole holds prejudiced and stereotyped views of people living with HIV as it does about disability. 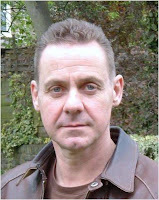 During the recent Olympic Games an Australian Gymnast had the courage and integrity to be open about living with HIV. 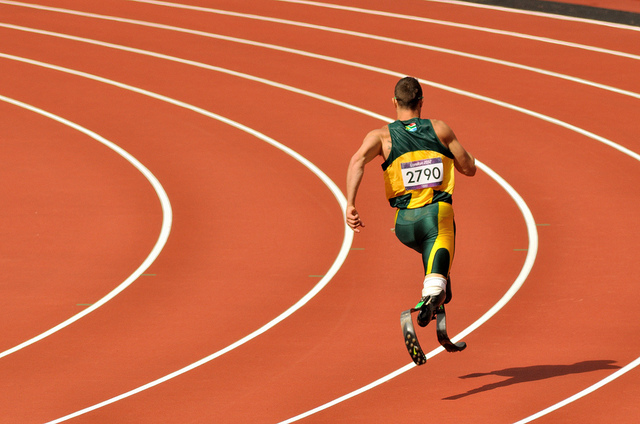 Over the next few weeks we will witness the largest, most watched and attended Paralympics ever. This is a unique and exciting opportunity to engage with the world and demonstrate to the world what we can do. We can utilize this opportunity to tap into society’s fascination about the ways in which we now live our lives. This is not just about athletes and sports people: it is about all of us. So let us embrace this opportunity and promote who we are. Let’s attend the Olympics, watch it on TV, invite our friends over and talk about it down the pub. Most of all let us use this opportunity to demonstrate how proud, unique and competent disabled people actually are. Look, Miss Eaton, will you please put your face on the pillow? You’re supposed to be dead! 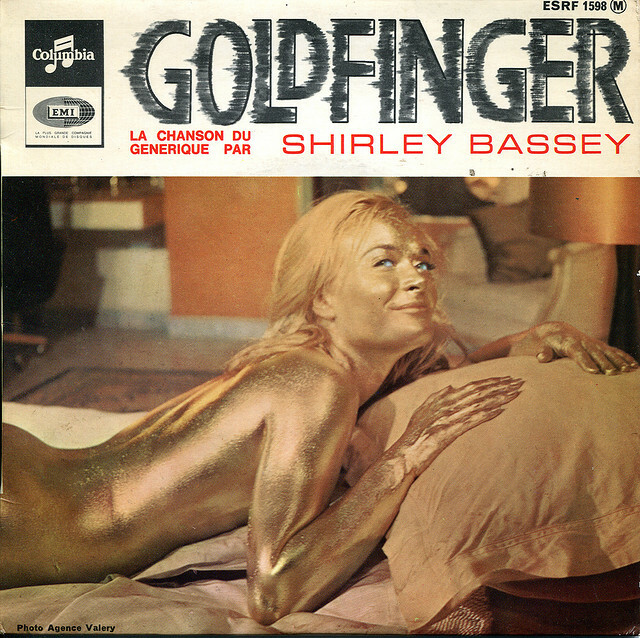 It turns out that Shirley Eaton, the actress who played the doomed Jill Masterson the third installment of the James Bond juggernaut, was thought by many to have died after being painted a certain bullion hue for Goldfinger. This is one of many obscure but extremely interesting facts that Neatorama has about the movie including the very real proscription of the film in Israel. The ban centered around the actor who played Goldfinger, Gert No, Mr. Bond....I expect you to die Frobe. The truth being so often stranger than fiction, head over to Neatorama to find out what happened and what, indeed, was the reality. 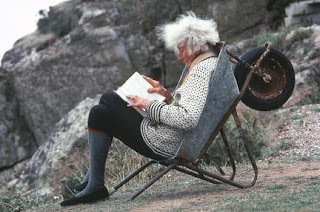 The Minack Theater near Land’s End in Cornwall (UK) was the vision of one redoubtable woman – Rowena Cade (pictured left in her later years). Her tenacity and love of the theater led to the creation of possibly the coolest theater in the world – perched precariously at the edge of the sea and made of stone. 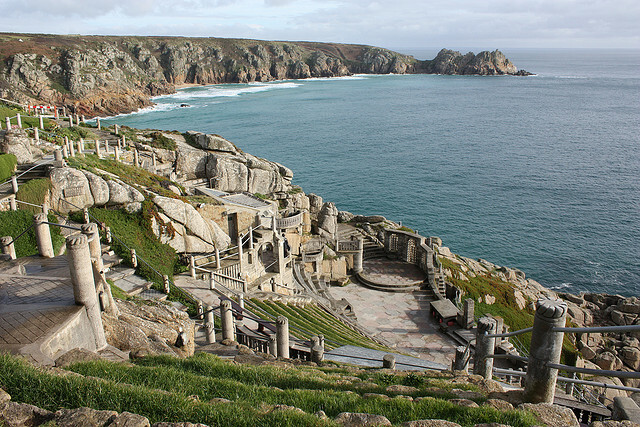 Ladies and gentlemen, boys and girls, welcome to Minack Theater. You know the scenario. In the bleak winter countryside the grizzled killer forces his victim to his knees. The grave has been dug, the gun has been drawn. All that remains is a single shot to the head. Yet this execution takes a strange turn. 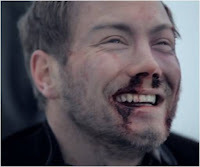 You may have to have a rather dark sense of humor to appreciate this short by Primodrom Produktions…. Many science fiction films have shown a future when the Earth becomes so polluted, and life so unsustainable, that the idea of leaving and discovering new, untouched worlds is given life. So a fleet of ships is created and they set off in to the universe in search of virgin territory. This is the same idea that is presented in Exo but there is something of a twist in the tale. This represents Torben Weit’s Bachelor thesis at the University of Applied Sciences Münster in Germany. It also features a cool soundtrack by Nine Inch Nails, specifically Lights in the Sky and Corona Radiata. Planet Earth – as you may never have seen it before. Vancouver Film School student Stefano Marrone (with sound by the fabulously named Aroon M Zick) has come up with a very different way of viewing the history of communication on our pale blue dot – through the direct experiences of the planet itself, tooned up very cutely indeed. It’s all there – from the creation of the alphabet and the printing press, to newspapers and books. Finally we hit the digital age. How will our planetary protagonist respond to that? You will have to watch this marvelous animation to find out but it is another example of how the medium of animation can raise important issues and provoke thought and discussion. Of course, any piece of work which name checks J Baudrillard, French sociologist, philosopher, cultural theorist, political commentator, and photographer will get my vote straight away. This is an exceptional debut by Mr Marrone (who also has a very cool website showcasing a lot of his work) and bodes very well for what we might see from him in the future. A few meters can be a long way if that is what separates you and the object of your desire. Here, however, the toy soldier leaps over to his ballerina with ease and grace, so enabling them to dance together for the first time. The medieval town of Elsinore, in Denmark has recently found it has a new addition to its waterfront. 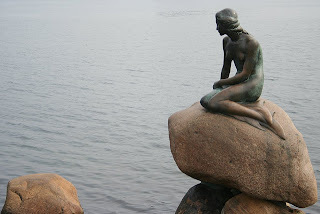 As you will see, it was designed to complement Edvard Eriksen's statue of the Little Mermaid which commemorates the character created by Hans Christian Anderson in Copenhagen (left). 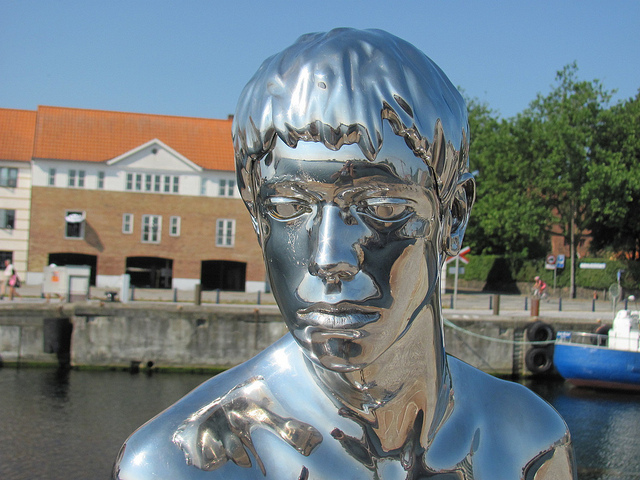 London and Berlin based artists Elmgreen and Dragset have installed Han, the Little Merman (my subtitle), a thoroughly modern and controversially male interpretation of the Danish national icon and occasional Disney wannabee. A terrible storm of the coast of New Orleans sees a man swept overboard; the last thing he sees is his lover’s outstretched arm before he falls to his death. Yet the young woman is not content with his fate and seeks the advice of a voodoo high priest. He tells her that her man is caught in between life and death and tells her how she might recover him. Yet can she succeed in her mission? This beautifully made animated short was created by four students, Benjamin Boy, Stéphanie Cavagne, Matthieu Chow Cheuk and Julien Prioux, during their time at the ESMA school in France. Have you ever felt embarrassed (or even harassed?) by your parents. The answer is almost certainly yes (no matter how briefly) so, in that case, spare a thought for Billy. His mum thinks he is Jesus reincarnate. Literally. As you can imagine that makes Billy, who reckons he is nothing special, more than desperate to keep it from his work colleagues. He goes to great measures to fade in to the background as much as possible, even limiting himself to a handful of words that he can utter each day. Of course, mum has to come back in to the picture sooner or later.. This very funny short film from New Zealand was created by Helena Brooks. After watching it you won’t be surprised that it was nominated for the Palme d’Or at the Cannes Film Festival and has won a number of awards on the film festival circuit. 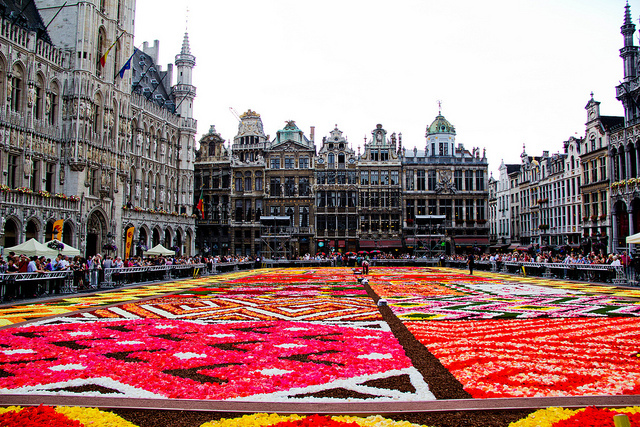 The Grand Place in Brussels, the capital of Belgium is for a few short days every two years awash with begonias. 2012 is a year on and so the people of the city decided that this year their Flower Carpet, made up of blooms all grown in the Ghent area, would pay a multi-colored tribute to the patterns of Africa. Two brothers hunt for fox in the forests of ancient China. Yet when their quarry eludes them and transforms in to a beautiful young woman (one might say a fox turning in to a fox of an altogether different nature) then the relationship between the two brothers quickly breaks down. There follows one almighty battle between the siblings, the winner to get the girl. Yet the girl may have other ideas. 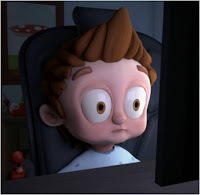 This wonderful animated short was created by four students,Thomas Bozovic, Alexandre Cazals, Julien Legay and Chao Ma at the French school Supinfocom Arles. Created in 3dsmax, Photoshop, After Effects and Premiere Pro this certainly enhances their school’s reputation for outstanding student work and is an extremely good animated CV for the four students involved. 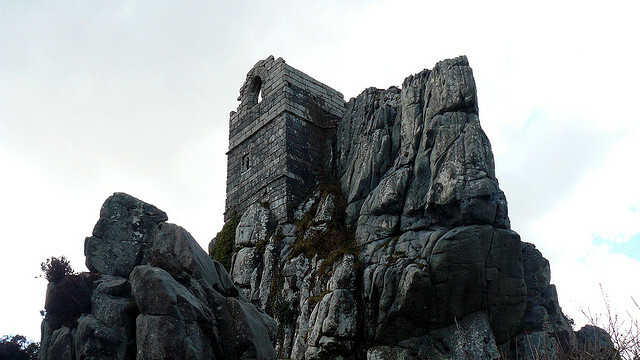 It is no surprise that Roche Rock in Cornwall in the United Kingdom is associated with a number of famous folktales. It is said that Triston and Isolde hid here when their love had been discovered by Isolde's husband, King Mark. 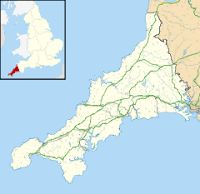 Yet others have fled here from far more frightening enemies than a cuckolded king. 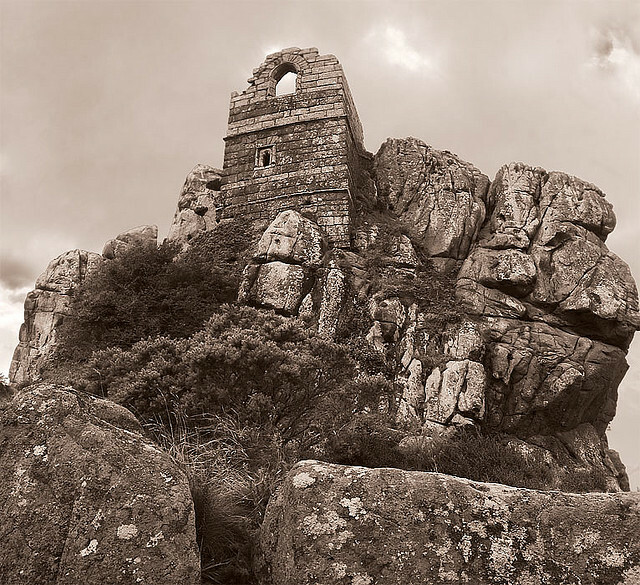 Atop Roche Rock (a short distance from the town of St Austell) lies the eerie remains of a chapel, dedicated to Saint Michael. 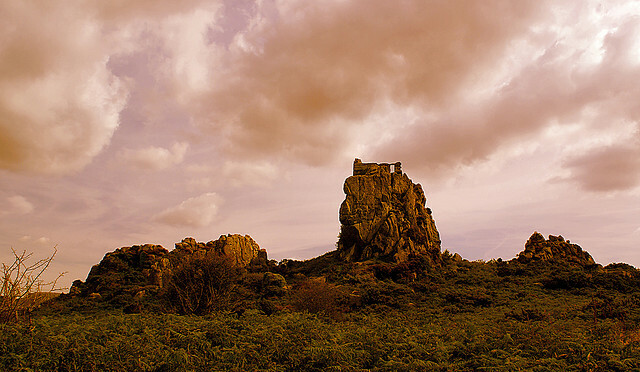 The rock, even without the ruins, looks out of place, jutting unexpectedly out of the Cornish landscape. The chapel was built in 1409 and abandoned some centuries afterwards. 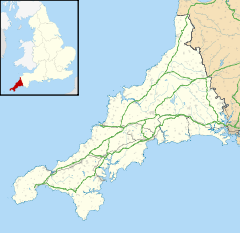 The scariest tale associated with it is the legend of Jan Tregeagle. We have featured the wonderful work of Lee Daniels on Kuriositas before so you may well already have a good idea what to expect here. If not, well you are in for just over four minutes of fun. 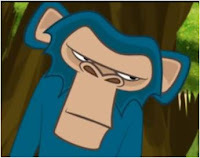 Lee’s animations often feature the adventures of this particular chimp. He’s an independent and wily monkey who, in the great tradition of animation, always gets the better of his pursuer. In this case it’s a mercenary chap sent out by a research lab to capture a blue chimp for experimentation. Our hero, of course is having none of that! You can see more of Lee Daniel’s work at his website. Rest assured we will be seeing our simian friend again as Lee promises that this will be the first in a web series. Awesome! A word of warning: don't sit little Jimmy down in front of this until you have watched it yourself and decided on its suitability! You may not recognize yourself in here (just yet!) but you may, like me, see something of your parents or your grandparents. An old couple, who have obviously been together for many decades, go through the day. The man is somewhat static, focused on fixing a broken alarm clock. 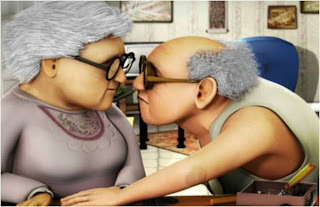 His wife goes about the daily chores which include cleaning her husband’s glasses at regular intervals. The feeling is one of two people utterly used to and comfortable in each other’s company. Not a great deal happens but as the title suggests, romance is not dead between the two. 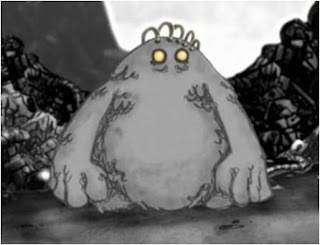 This charming animated short was created by students from the Bezalel Academy in Israel. 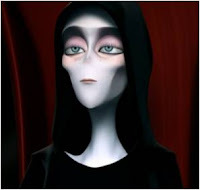 Ore Peleg was responsible for direction, story, animation and compositing while Roni Cohen was in charge of art, modeling, lighting and rendering. Again, students from this small but over a century old academy come up with world class animation – congratulations to all involved. Do you remember your first love? Chances are that whatever it was like it wasn’t like this! 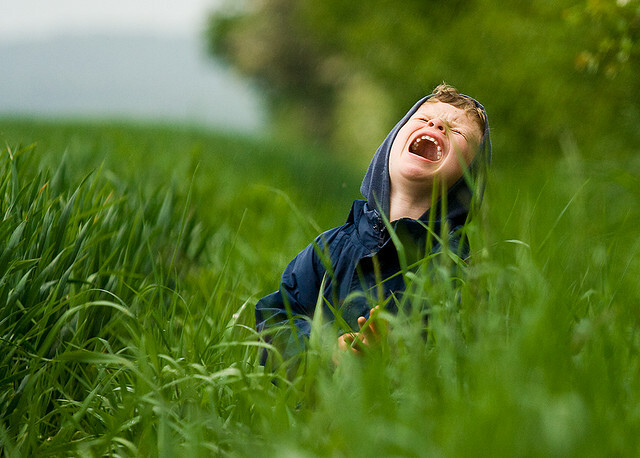 One young boy recounts his experiences with his first love, the pain, the anguish – all the tears and the tantrums. All told it’s a remarkable performance by Lucas Van Hilten, aided by the very sweet presence of Emily Foreman as his object of desire. 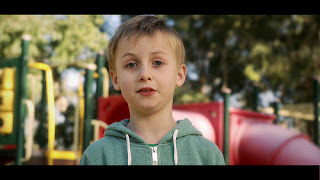 This very funny short was written and directed by James Hartley, who is based in Sydney, Australia. Warning – the child swears a little! 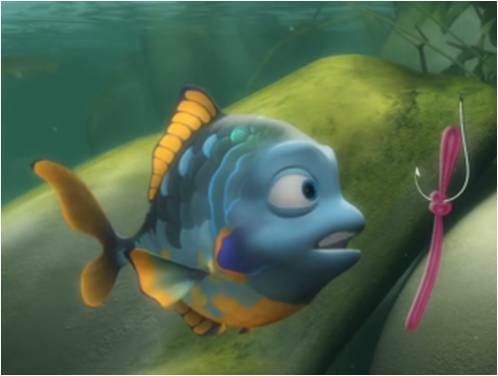 A hungry little fish searches for food but very quickly becomes distracted by the shiny pink bait on the end of a very sharp looking round thing. This doesn’t have the poor little guy being reeled in as its denouement, so don’t worry. It is, however, a very fine example of some of the animation coming out of Africa these days. Character Matters Animation Studio, the maker of Hooked is an award winning 3D Animation Studio based in Cape Town, South Africa. Character Matters is passionate about the development and creation of memorable animated feature films, television series and characters that appeal to the whole family. Combining cutting edge technology with creative talent, the staff over at Character Matters delivers world class 3D animation. They are hardly new kids on the animation block, either, having been around for 15 years. However, this may be the year that the rest of the world sits up and takes notice! 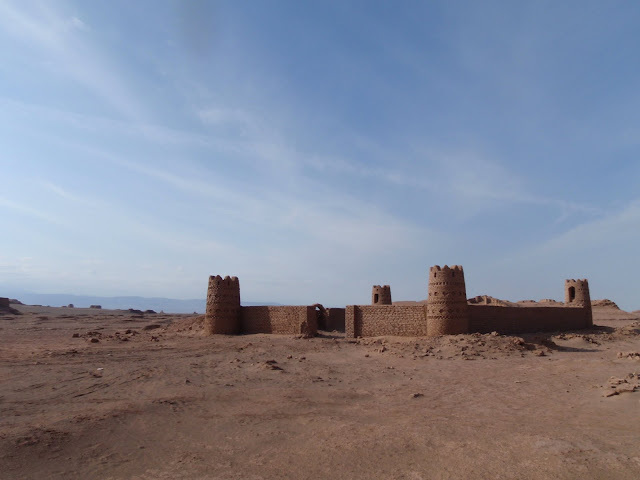 There were once thousands of caravanserai, staging posts for the weary traveller, dotted throughout Asia, North Africa and the South-Eastern parts of Europe. The Silk Road, an important and extensive trans-continental network of routes, was dotted with them. Many still survive, but more, like the one in the Lut desert of Iran (above) are abandoned and slowly turning to dust. This is an unusual take on Death! Usually Death is portrayed as a man – in fact I cannot think of any example where he has been portrayed as a woman – though I am sure I will shortly stand corrected on that. Yet here she is, Death in all her female glory – plus, it seems that she is also a single mum. With an IT fixated kid who demands more time than she give the ingredients are all there for something to give. And oh boy, does it give! Gaëlle Lebègue, Ness (Aurélien) Ronceray-Peslin, Nicolas Villeneuve and Mathieu Vidal. For a student work it is, I hope you will agree, of an astonishingly high standard. Two of the students involved, Ness and Nico are now members of Bad Kidow Company, and audiovisual agency. This is a very cool animated short which combines a very clever script with marvellous, state of the art animation. Do you know how many men walked on the moon without reference? If you do, then go to the top of the class. If not, like me, you probably made a ball park guess which was almost but not quite right. There have been, in fact, twelve men (so far) who walked on the moon. But what on earth (literally) do you do afterwards? Let’s take a look at these twelve extraordinary men and find out what became of them on earth-fall. This really is a quite beautiful piece of work by Erica Haowei Hu, a New York based designer and animator. A journey through, as the name suggests, the four seasons this is a wonderfully balanced piece of work with exquisite colors throughout. I am not quite sure but I found this a little reminiscent of Disney’s Fantasia – not so much in what it is trying to convey but in its spirit. Having said that, Seasons, stands up very much as its own piece and is not derivative. Settle down with a drink and put this delightful animation full screen – it’s gorgeous! 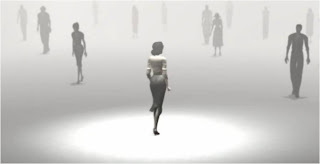 This is a thought provoking animation by a group of students at Supinfocom in the south of France. It imagines the children of Chernobyl in an altogether different light to how they are portrayed in the media and some of you may not be too happy about that. However, its content is one that will resonate with many and is proof positive that many young animators are using the form to challenge our perceptions and to create striking and challenging work. Chernokids was created by the five strong team of Marion Petegnief ,Matthieu Bernadat ,Nils Boussuge, Florence Ciuccoli and Clément Deltour. It seems particularly prescient at the moment because of what is happening at the site of a number of nuclear power plants in Japan but was made last year for their graduation project. Still, timeliness aside, it has been shortlisted for a number of different animation competitions and will, one can only hope, win a few of them. 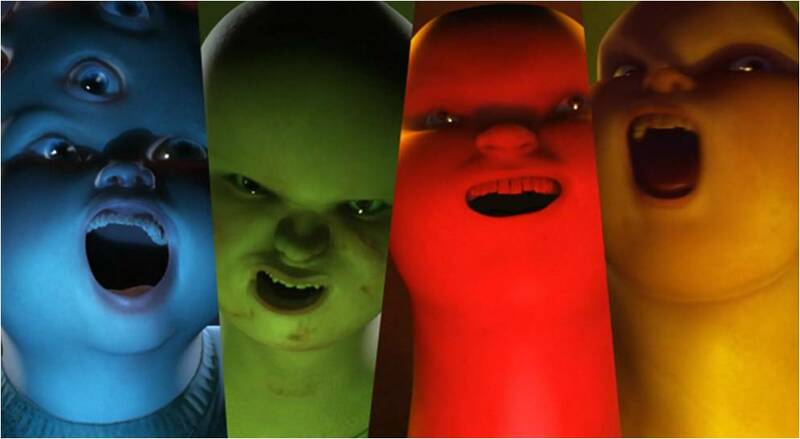 It really does represent a superlative effort on the part of these five undergraduates who will no doubt go on to great things either in the French animation industry or beyond. Supinfocum is a school with something of a global reputation – and is in its twenty third year of existence. It is situated in the town of Arles in the south of France and services the Valenciennes region (and indeed beyond). Normally, nettles are associated with that nasty sting that they give you should you be foolhardy enough to examine them with bare hands or unfortunate enough to have a brother or sister willful enough to want to push you in to them. However, they have many more uses than a tool in the escalation in to nastiness of sibling rivalry. So, why should we stop worrying and learn to love them instead? There comes a time in the life of every young novice when they must perform a task which will judge whether or not they are ready to become a fully fledged monk. So it is with Ragu, who is given a task by his master which, on the face of it, seems straightforward. However, the task itself will test his judgement to the limit - and his decision will lead either to failiure or success. This beautifully crafted animation by Brendan Carroll and Francesco Giroldini is such a sophisticated piece of animation that it belies the fact that they created it as part of their degree at Ringling College of Art and Design in Florida. As I watched this I honestly expected it to have been produced by a professional studio and was surprised when I discovered it was a piece of work by two undergraduates. That sounds, on reflection - a little patronising (which isn't the intention) - it is simply a measure of how professional this animation is, from start to finish. It shouldn't have been too much of a suprise, really. Ringling College has a superb reputation and is known as one of the best and innovative visual arts colleges in the US. As well as leading the use of technology in the arts, Ringling balances a traditional artistic training curriculum side by side with technological innovations and career preparedness. It almost makes me want to give up my day job and become a student again! Expect to see great things from Messrs Carroll and Giroldini in the future! It is said that hell has no fury like a woman scorned – and that can most certainly be said to be true of Sarah, the lead character in this short, stop motion film. Her bounder of a man dumps her and he goes to extreme lengths to get her revenge on him. Written, directed and edited by Robin King and starring Denise Hoey and David Crow, this film took about a year in all to complete. It was created using a variety of applications, notably Photoshop, Premier 6.5 and a number of bespoke programs which were coded by King himself. It was shot using a Canon Eos 350D Digital SLR and although it is called Ten Thousand Pictures of You – there are over 26,000 in the final film. Hezârfen Ahmed Çelebi was a legendary Ottoman of 17th-century Istanbul, purported to have achieved sustained unpowered flight. However, if we are to believe what we see here, his attempts were not without their problems. Yet this (quite possibly historically inaccurate look) at what happened in Istanbul back in 1632 gives another side to the story. 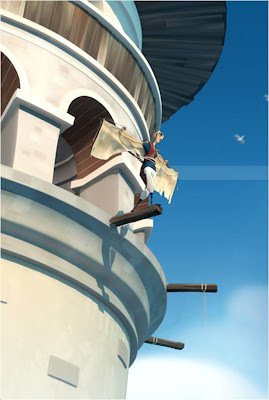 As the young Hezârfen leans from a high minaret he has second thoughts about his ability to fly – yet he inadvertently sets about a chain of events which the residents of Istanbul will remember for a long time to come. Tolga Ari was the Team Leader and Technical Director on this wonderfully slapstick piece of animation. 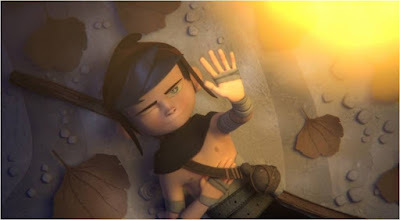 Romain Blanchet was the Art Director and Remy Hurlin the Lead Animator. In charge of FX was Chung-Yu Huang. Altogether this is a great piece – self contained but something that should really lead on to full feature (they may have to put some clothes on the harem girls, however!). This particular bird has no wings and will never fly. However, people around the world will stop and gawk at its flightless beauty. 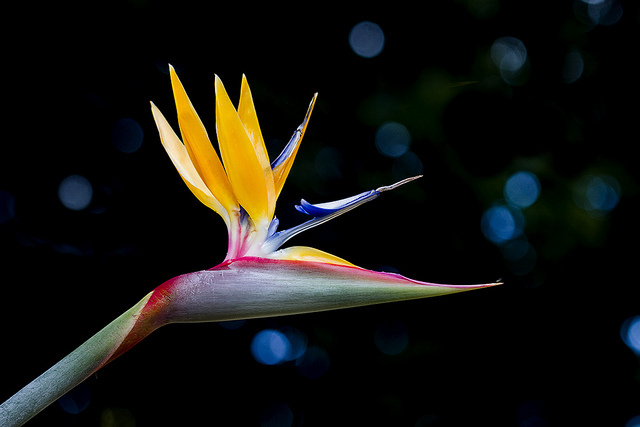 Take a look at the bird of paradise without wings. A city is a peace with itself. Populated by singing cats, a blue beat poet falls in love with the gorgeous siren who sings at a club. Yet the peace of the city is broken when a dark figure visits and begins to kidnap the town’s occupants for his own perverse musical intentions. The cat (wonderfully voiced by Nick Cave) determines to save his city and restore the natural order of Cat Town. 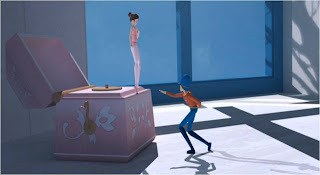 The Cat Piano is yet another triumph by The People’s Republic of Animation who consistently show that animation does not have to be cloying, childish and chaste – but is an adult art form in its own right. It is co-directed by Eddie White and Ari Gibson and the narration is in the form of a short epic poem, written by White. Credit must also go to Jessica Brentnall who produced the piece. The Austria-based animation house is fast gaining a global reputation for their short animated film and this is no access. 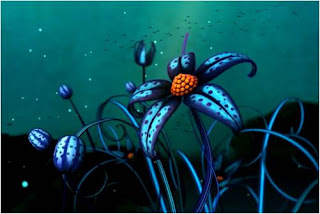 The entire look of the movie was created by using Adobe Photoshop to animate everything – something of a challenge but something which is fast becoming the house’s signature style. This kind of animation makes me breathless partly because it simply exists but also because it is so extraordinarily done. It is reminiscent, to me, of some of the fantasy films of the 1950s – I remember one the name of which I cannot recollect (answers on a postcard please!) where there are hundreds of children playing a single piano of incredible length. The film, quite rightly, has won numerous awards but I am scratching my head as to why an Academy Award was not forthcoming for this extraordinary, exquisite work of animation.